With homes built of wood and streets narrow and congested, a flying spark or a defective chimney was a hazard to the whole Island. It was not until after the burning of one of W.C. Bunting's buildings and the "Pleasure Dome” that people began to realize the danger enough to try and find some protection. With the Island being so isolated from the mainland, fire equipment could not easily come to aid. In 1905, a mass-meeting was called in the Community Hall of the M.E. Church building. Committees were appointed to try and borrow from as many as they could to collect the sum of $25.00 to purchase some kind firefighting equipment. Soon after the little hand pumped engine arrived, the home on North Main St. of W.L. Watson was destroyed by fire. A spark from this fire, fanned by a howling wind from the North West, jumped over to the roof of another building. With the aid of buckets and brave men, this little engine was able to not only save this building, but kept water sprayed on all the other buildings around. Later, another small gasoline engine was purchased, and everyone felt secure until Saturday, Sept. 5, 1920. The church bells began to ring, and riders on horseback began shouting throughout the town, "Fire, Fire". People came rushing with all kinds of buckets and the two small fire engines were brought out for use. One of these engines had been neglected for 16 years, and the other one was too small to do any good. The terrible fire destroyed 12 homes and business places on the West Side of Town. Fire equipment came from Pocomoke City, Md., but due to the bitter cold and freezing weather, little could be done to save the buildings already on fire. These events caused a little band of men (25) with the same courage and determination by the founders of this great country, to organize against this evil force. The Chincoteague Volunteer Fire Company was organized in May, 1924, with 14 members. Mr. Lee Roy Conant was elected president, and Mr. Eba Jones Fire Chief. 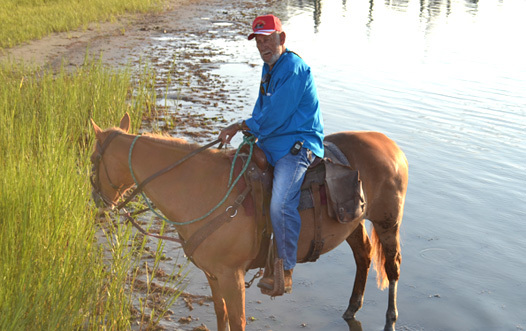 There were no funds to purchase equipment to carry on the work of this organization. The sum of $4.16 was acquired by the "passing of the hat" and the company was launched into being. 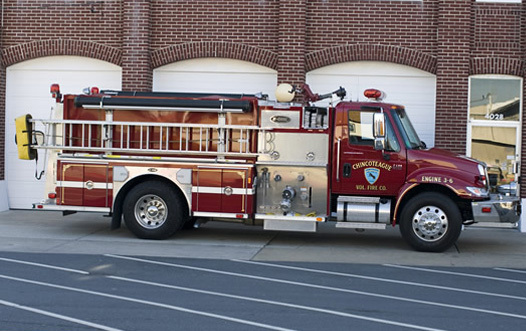 The first order of business for the Chincoteague Volunteer Fire Company was to purchase a fire truck with a capacity of 750 gallons of water and 2,000 feet of hose. In order to pay for this equipment the firemen held their first carnival which included a “Pony Penning Day”. The proceeds were used as the initial payment on the equipment. In 1930, a large brick Fire Station was built at the cost of $32,000. This new station and all equipment were free from debt by 1935. In 1936, the Fire Company purchased a GMC Chassis, on which the American La France equipment was mounted and two thousand feet of hose. The cost of this purchase was $5,500. In 1938, the Fire Company purchased a Ferris wheel and Merry-go-round at a cost of $6,000. 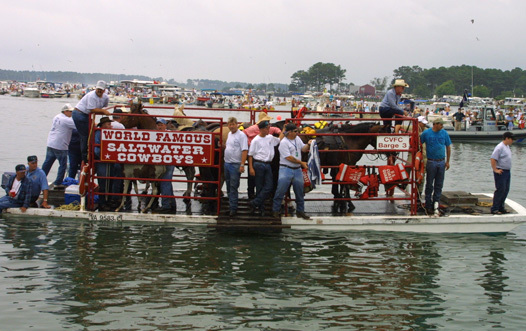 As "Pony Penning Day" had already been celebrated on the Island for many years, it was decided that the Fire Company would purchase some ponies to be auctioned during the event. 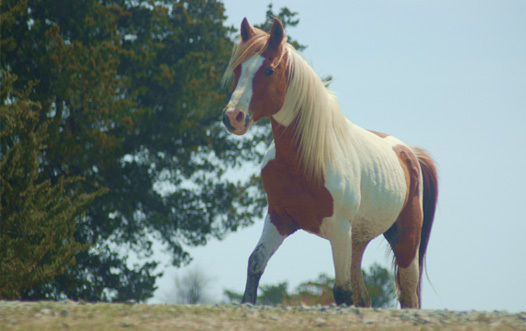 The Fire Company bought eighty ponies, 60 mares and 6 stallions from the estate of Joseph Pruitt. 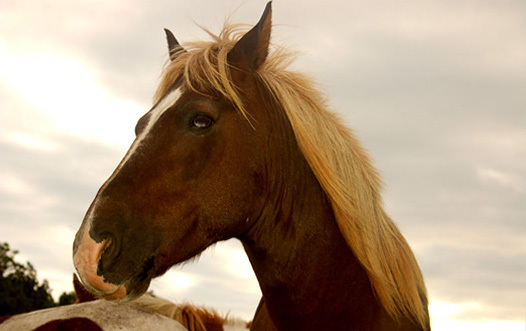 This investment decision proved not only profitable, but has ever since been a means of attracting thousands of annual visitors to the Island to see the famous Wild Pony Round-up. Since 1924, the only years the carnival was not held, were during World War II between 1943-1945. 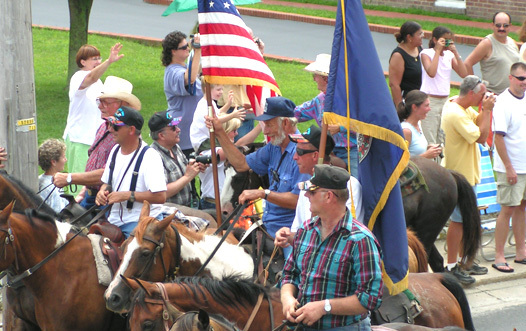 Please click on Pony Info for more information on the famous Chincoteague Ponies and history of the annual Pony Penning Day events.